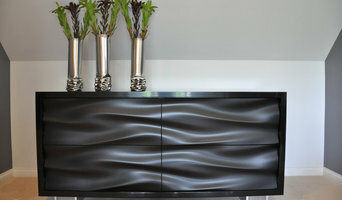 Since 1973, it has been our mission to build cabinets that we would be proud to put in our homes. Over the years, we have continued to refine our process and continuously learn so that we can provide you with the best custom cabinetry in Indiana. We remain committed to exceeding customer expectations and we hope that you give us the opportunity to exceed yours. When you are ready, please let us know when you'd like to come out to our showroom for a tour. If you would prefer, we also love the opportunity to meet you at the job site. Thanks for looking at Madison County Cabinets. 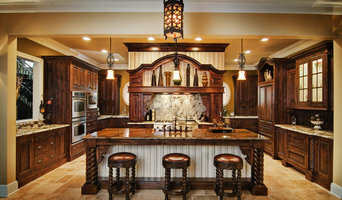 Nailed It Remodeling is a full service design and remodeling company with a focus in kitchen and bath. 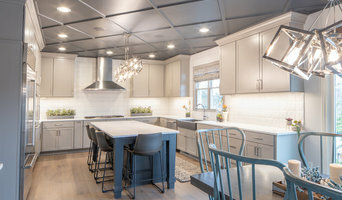 Led by husband and wife Justin and Mia Farrell, this team will take your dreams to reality, whether it be a full scale kitchen remodel or a smaller scale project like custom built-ins. Nailed It Remodeling will completely take care of your entire project - no need to lift a finger or call anyone else. We take pride in managing the project from start to finish and turning your dreams into reality. In working with the team, you receive the combined expertise of Mia’s design skills and passion for creating functional spaces and Justin’s years of experience and work ethic to ensure every project is on point and to the very last detail.